Lucky You! 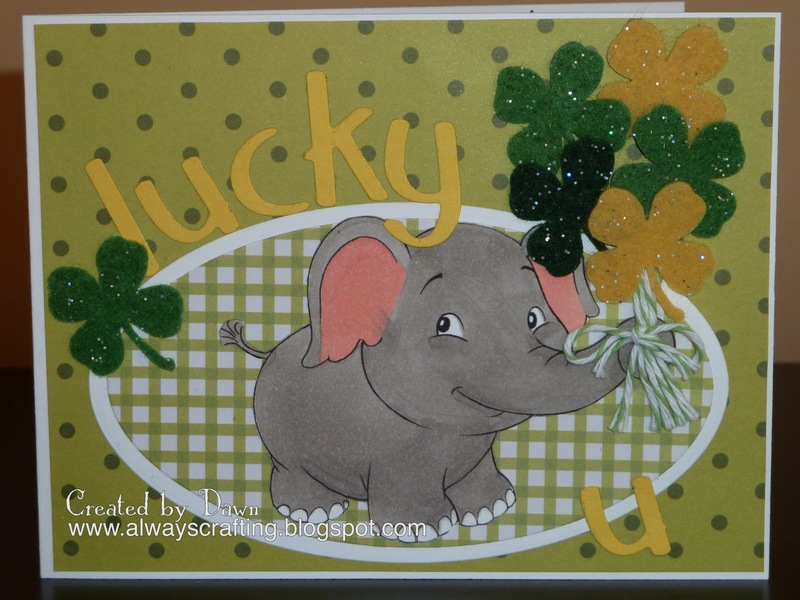 Here is a card made to send someone luck and love! St Patrick's Day is almost here and it is time to send love and luck to those you care about! Maybe a few Irish kisses as well! 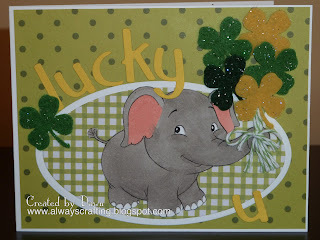 Clever the way you've incorporated the elephant with the clovers!! Fun card! So cute I love all sparkle and that elephant is super cute! Ohhh, this is such a sweet card- just gorgeous! Your elephant is a cutie!